by Nazeer Rida - english.aawsat.com Beirut – A meeting between Lebanese President Michel Aoun and Prime Minister Saad Hariri on Sunday helped overcome some of the remaining obstacles that are hindering the approval of a new parliamentary electoral law. The meeting at the presidential palace in Baabda raised the level of optimism in the country that the thorny electoral law dispute will be resolved after years of political wrangling. The lingering differences over the current law lies in the distribution of seats in electoral districts and if the preferential vote should be held on the basis of the district or province (qadaa), revealed Lebanese Forces MP Georges Adwan. Hariri said after his talks with the president: “The meeting with Aoun was positive and we should speed up the drafting of the new electoral law.” The premier stated that the drafting should be complete before Wednesday’s cabinet session. Lebanon witnessed a flurry of political consultations last week in an attempt to eliminate the remaining obstacles in the electoral law and set a date for the parliamentary elections that have been twice postponed due to dispute over the law. The factions are also seeking to extend parliament’s term before it expires on June 20. Finance Minister Ali Hassan Khalil stated that “time is running up”. “It is unacceptable for us to reach vacuum,” he added, warning that vacuum will not be limited to parliament, but it will extend to the whole state. He stressed: “We will forge ahead with openness and positivity to reach an agreement.” He called for the adoption of an electoral law that is based on proportional representation and 15 districts, saying that there are no disputes over the essence of the new law. Adwan echoed Khalil’s statements, adding that some issues of contention will be resolved this week. The differences center on the preferential vote, he said. “If we failed to reach an agreement, then we have no choice but to resort to a vote on it,” he explained. The MP also denied that there are differences between the Lebanese Forces and Free Patriotic Movement, saying: “We are in agreement over 98 points, while two remain.” Should a new law be adopted, then the date of the parliamentary elections will be set by the president and prime minister. “The economic situation in the country depends on the adoption of this law,” stated Adwan. Mustaqbal Movement MP Mohammed al-Hajjar meanwhile called for “preparing for the polls as if they were taking place tomorrow.” He pledged that a new law will be approved soon and all officials should be responsible for preparing the country for voters to head to the ballot boxes to practice their democratic rights. Not all sides in Lebanon have been pleased with the latest developments regarding the law, as Marada Movement chief MP Suleiman Franjieh lashed out at the Lebanese Forces and Free Patriotic Movement saying that they had reneged on an agreement made with Maronite Patriarch Beshara al-Rahi in Bkirki. 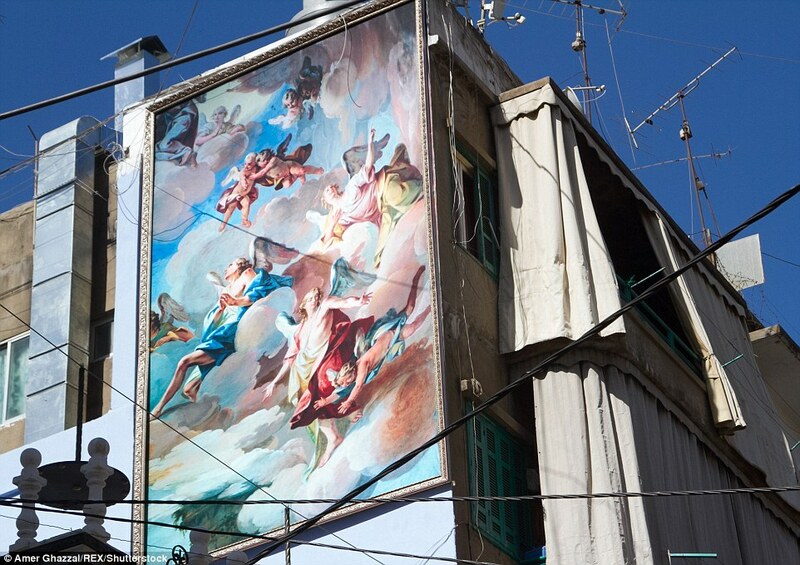 “They have gone against what we agreed on at Bkirki. Their fear has driven them to devise electoral laws that suit their interests,” he noted. by Gulf news - Joseph A. Kechichian - Beirut: Free Patriotic Movement leader and Minister of Foreign Affairs Jibran Bassil was formally warned by several Arab ambassadors that Lebanon could face the wrath of the Gulf states if Hezbollah makes any moves that backs Qatar in the ongoing crisis between Doha and leading Arab States. On Friday, Ambassador Hamad Saeed Al Shamsi from the UAE, along with his Egyptian counterpart Nazih Al Najari and the Saudi chargé d’affaires Sultan Al Sibai, met Bassil and asked the latter about Beirut’s position. According to the Kuwaiti daily Al Ra’i, the Foreign Minister responded that the Lebanese Government sought to implement a policy of dissociation (al-na’i bil-nafs) and that it intended to remain on good terms with all Arab countries. The three diplomats expressed their displeasure with Lebanon’s official position, after they spoke to their host countries, unnamed sources told the daily. The diplomats reportedly told Bassil that Lebanon could not be neutral when it came to terrorism and warned that any action taken by Hezbollah to back Qatar would implicate the entire country — a full break in diplomatic ties was not ruled out. “While each country’s specific national security interests should be taken into account, Lebanon is obliged to abide by policies which seek to mitigate danger posed towards Arab countries, especially towards a state which embraces, funds and otherwise supports terrorism,” a senior Arab diplomat told the Lebanese Al Jumhuriyyah daily on Monday. Lebanese officials have been relatively mute since the Qatar crisis erupted last week as its government struggles to balance its power considerations with its regional and international counter-terrorism pledges. Lebanese president Michel Aoun’s Free Patriotic Movement is part of a political alliance with the Iran-backed Hezbollah movement. On the other hand, Lebanese Prime Minister Sa’ad Hariri is close to Saudi Arabia and is part of the March 14 anti-Syrian coalition which regularly clashes with pro-Iranian elements in the country — especially Hezbollah. According to the Kuwaiti daily Al Ra’i, the Foreign Minister responded that the Lebanese Government sought to implement a policy of dissociation (al-na’i bil-nafs) and that it intended to remain on good terms with all Arab countries. By Alex Matthews For Mailonline - 'It's like drinking Champagne at the top of a volcano': Discovering why Lebanon makes for a superb holiday (even though there is chaos all around, as the tour guides admit) ‘Life in Lebanon is like drinking champagne at the top of a volcano… there is chaos all around us but at least we have a good time’. These were the words of wisdom from my tour guide during a long day of sight-seeing in Beirut and after five hectic but enjoyable days in the city, I had to agree - the Lebanese know how to enjoy themselves. 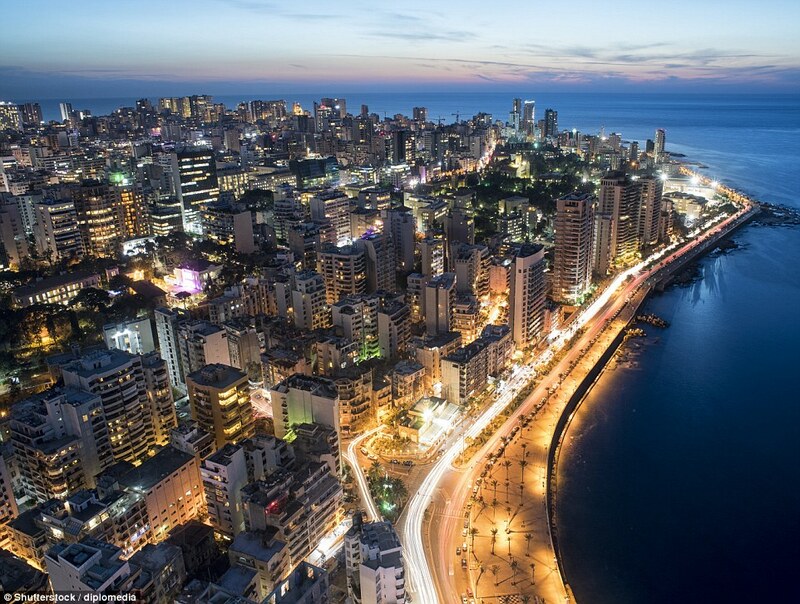 Bordering Syria and Israel, but nestled on the Mediterranean coast, Lebanon is a hotbed of culture, history and politics and as soon as I saw the twinkling lights of its capital, Beirut, I knew I was in love. A great way to spend an evening in Beirut is to walk along the Corniche promenade to Raouché where you can sip tea while gazing across the bay at the iconic Pigeon Rocks as the sun goes down Beirut is dirty, loud and frantic - but its ancient architecture, stylish bars, fantastic food and charming people will leave you head over heels. I flew into the city with Pegasus Airlines, via Istanbul. At first I was concerned about missing connections or enduring a long, tedious journey, but in fact it was simple, efficient and stress-free. However, while I was quietly proud of myself for making my flights without getting lost in the terminals of Istanbul airport, just moments after arriving in Lebanon I was to get my first real lesson in Middle Eastern travel. 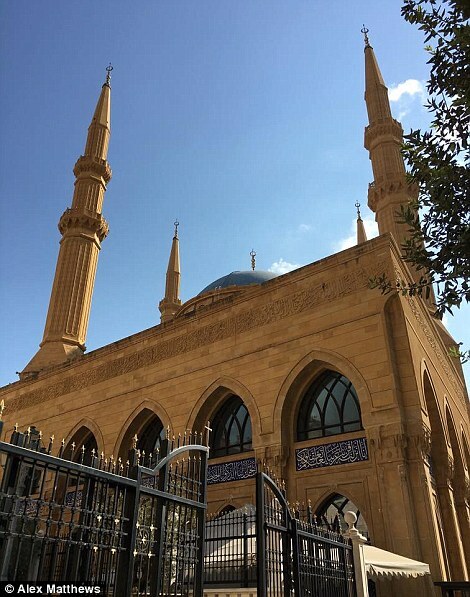 Lesson Number One – excitedly admitting to a streetwise Beirut cab driver, ‘yes, it is my first time in Lebanon’ will ensure you get taken for a ride in more ways than one. But any angst caused by my expensive opening foray into Lebanese travel was to evaporate as soon as I laid eyes on my accommodation. 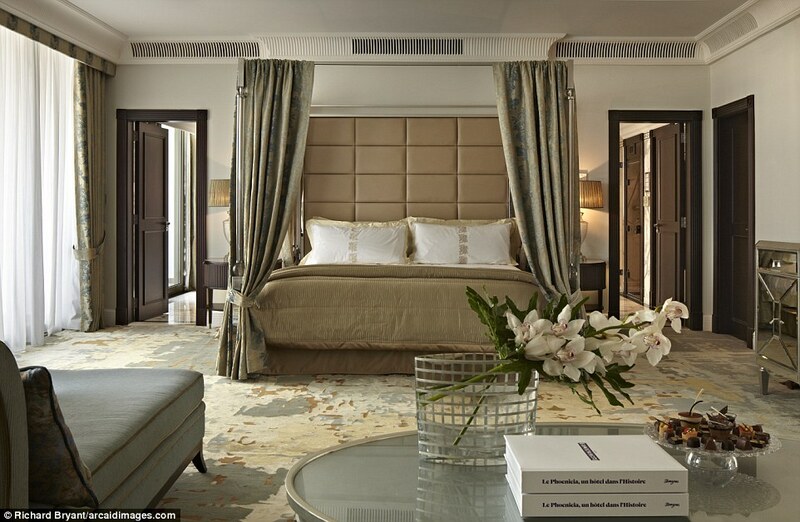 I was lucky enough to be staying at the most exclusive hotel in town, the Phoenicia. 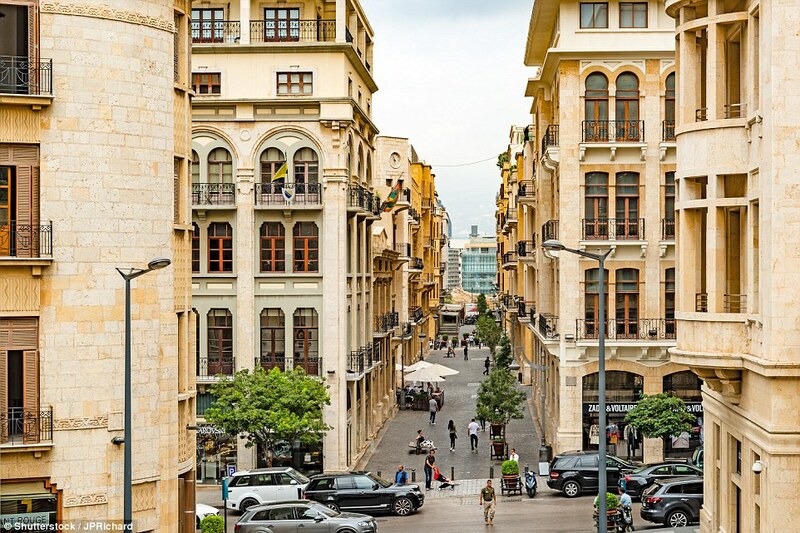 While narrow streets and ancient architecture offer an insight into Beirut's past, the yacht-filled marina and stylish sky scrapers of Zaitunay Bay are certainly all about the city's future If Beirut is a city dominated by hustle and bustle, then the Phoenicia is an opulent oasis of calm. 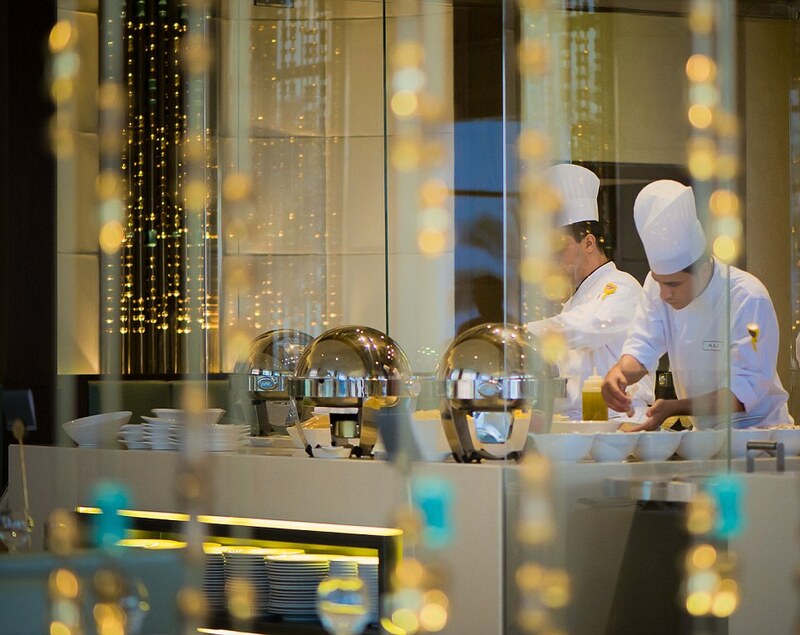 By checking-in I joined a list of celebrity guests, including popstar Shakira and former Secretary General of the UN Ban Ki Moon, and during every second of my stay I received nothing but the A-list treatment. 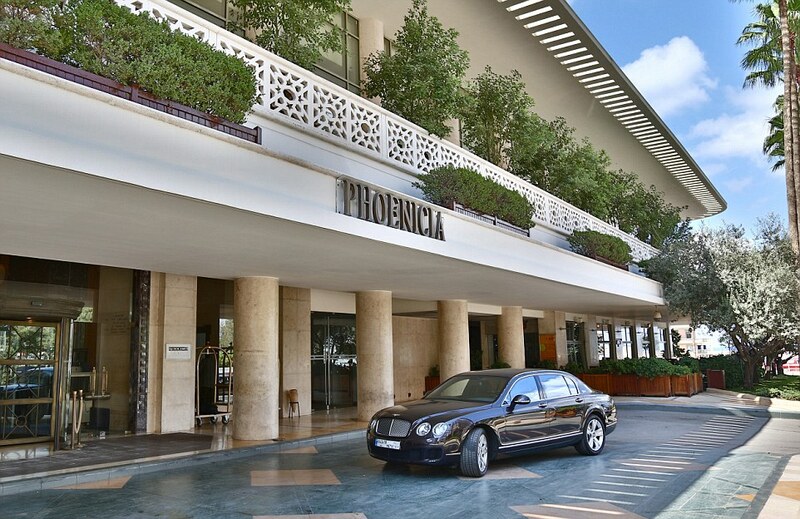 The Phoenicia is a truly spectacular hotel, with modern art draping from the walls, a luxurious spa, an array of restaurants to cater to any palette and staff who happily pander to the every whim of their guests. 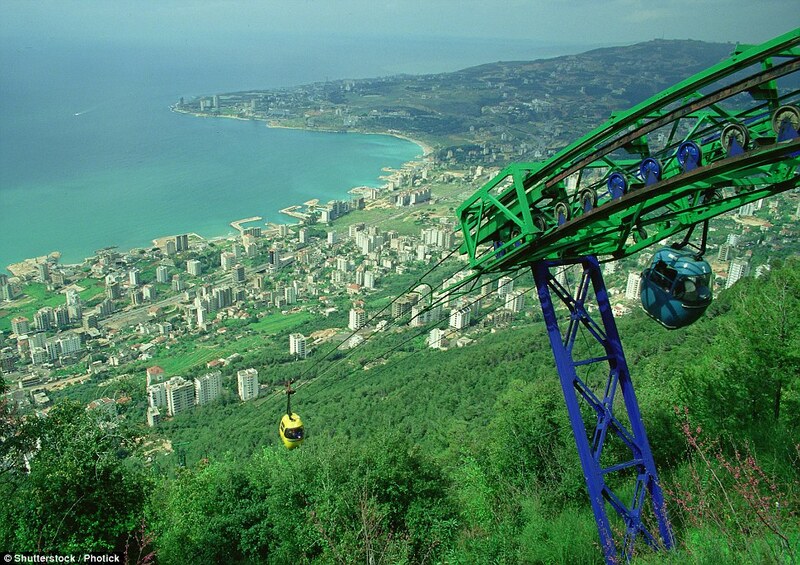 The hotel suggested a tour company that set up excursions around Beirut and into the countryside where I could see for myself the true beauty of Lebanon. I jumped at the chance and I urge you to do the same. I was picked up by minibus and shown around the city by my fantastic tour-guide, Nouchka, along with a group of fellow wide-eyed tourists. The palace of Beiteddine is about an hour outside of Beirut and is well worth the trip, with ornate stained glass windows, opulent furnishings and beguiling examples of 19th-century Lebanese architecture I gazed at the impressive Mohammad Al-Amin Mosque in Martyr’s Square before visiting the National Museum of Beirut and meandering past the city’s many charming coffee shops and bakeries. 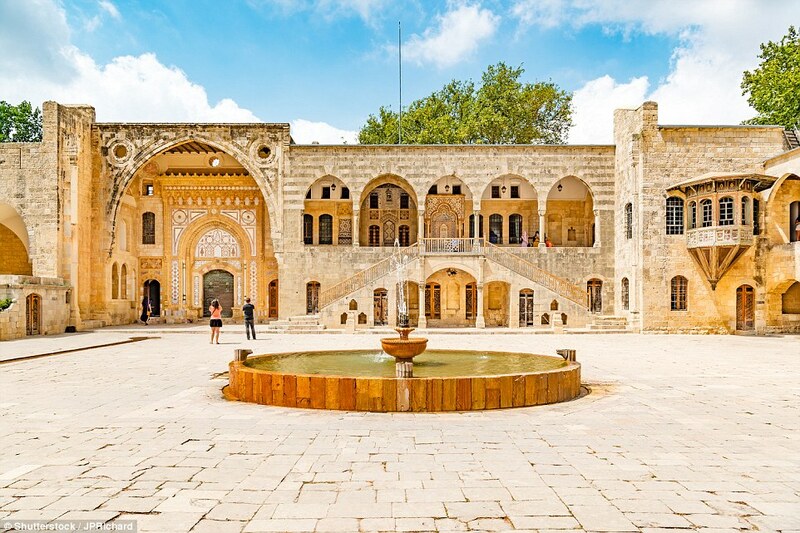 I later ventured into the Chouf Mountains before visiting the impressive Beiteddine Palace. 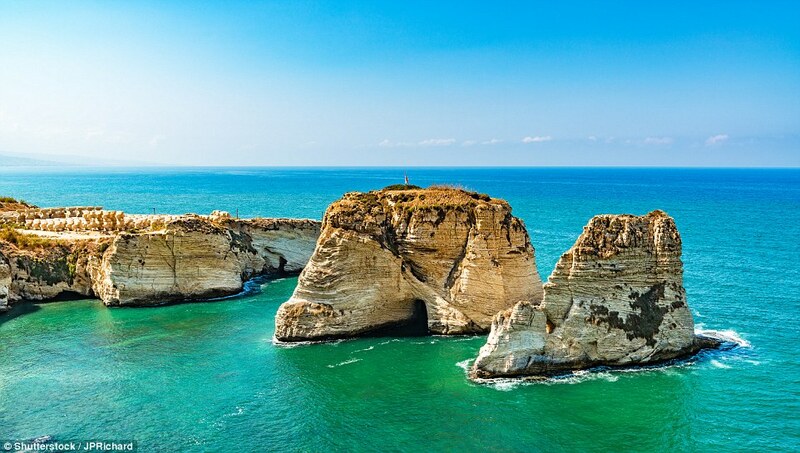 Shaped by a plethora of rulers and civilisations over its rich history – not to mention quite a few serious earthquakes – Lebanon is a country steeped in heritage, so any chance you get to learn about its history should be grasped with gusto. 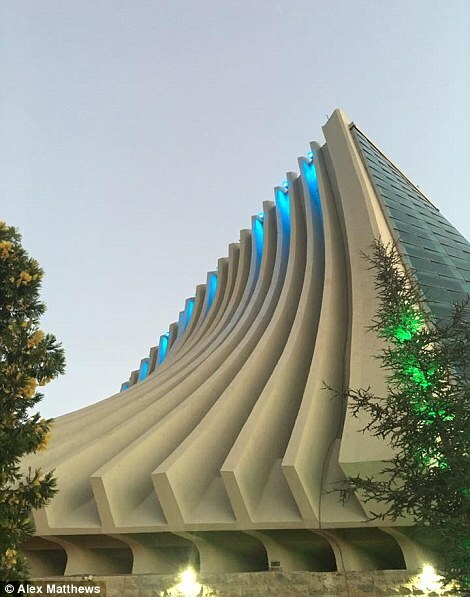 Another site worth visiting is the Basilica at Harissa, which is a short drive into the hills. Its unique architecture makes it a place of worship like no other and a cable car up and down the hillside offers great views of the city and the surrounding coastline. I went at night, which made Beirut look all the more magical. 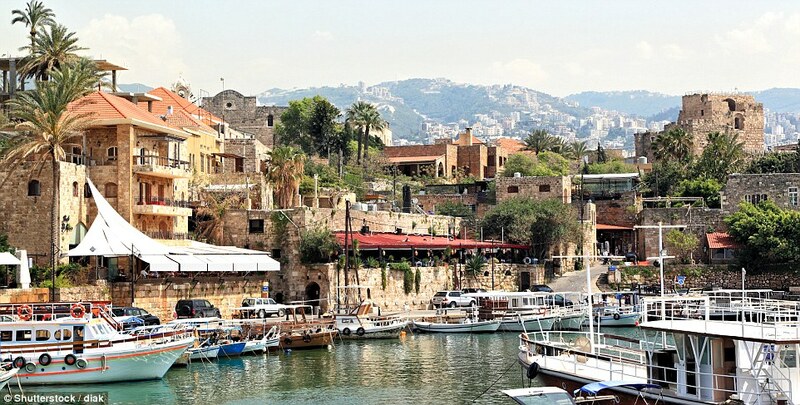 Believed to be the oldest populated city in the world – its earliest settlers landed around 8,000 years ago – visiting Byblos is like stepping onto the set of a historical Hollywood epic. However, personally, I felt the historical jewel in Lebanon's crown was the ancient city of Byblos. 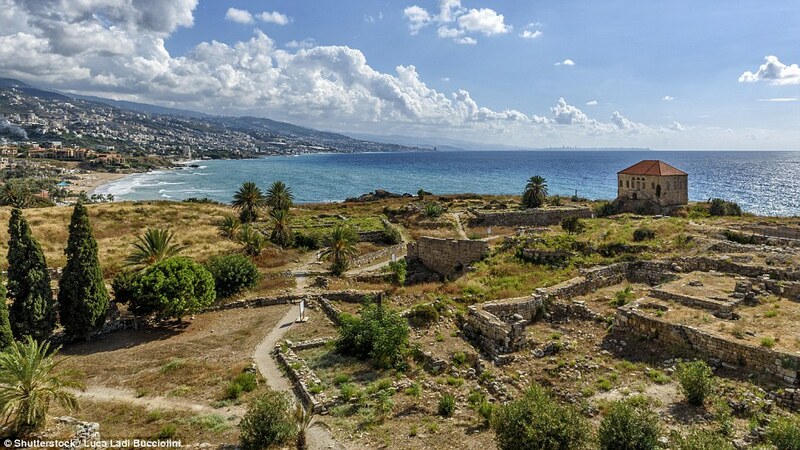 Believed to be the oldest populated city in the world – its earliest settlers landed around 8,000 years ago – visiting Byblos is like stepping onto the set of a Hollywood historical epic. Strolling along its narrow cobbled streets, visiting its various ruins or popping into Lebanese restaurants for fattoush, kibbeh and chicken kebabs, is a delightful way to spend a day. Plus, Byblos boasts sensational beaches. In case you feel like soaking up some rays. 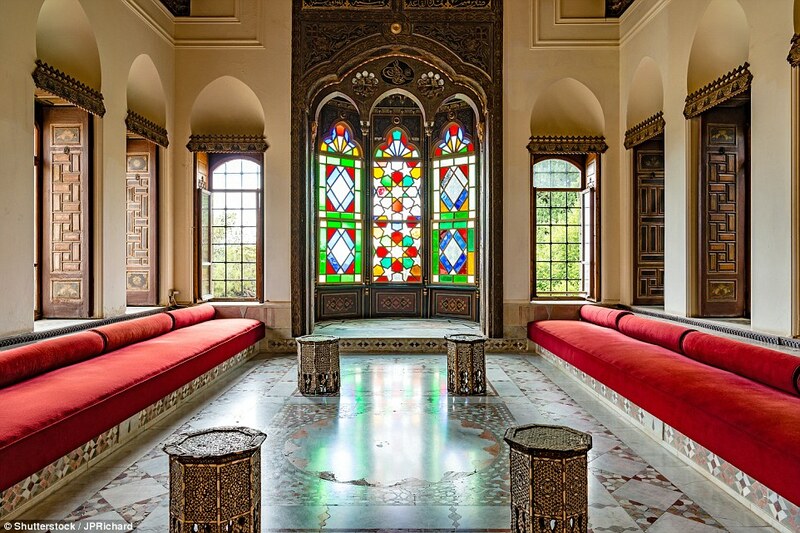 Lebanon is a history lover’s dream, but if your idea of a holiday is sun, sea and a dancefloor, well never fear – Beirut has got you covered. 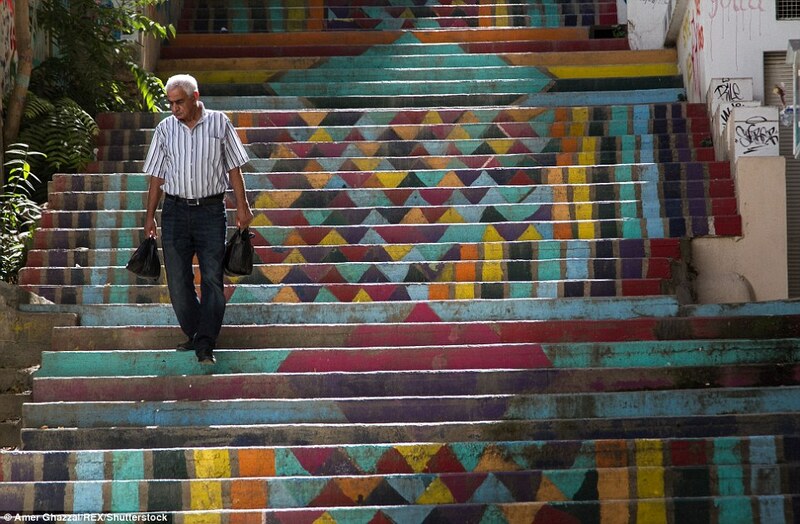 Beirut is all about new beginnings and there is a youthful exuberance to the city that is both captivating and contagious. So it is no surprise that when it comes to having fun, they know what they’re doing. Whether you want to surround yourself with beautiful people dancing to blaring house music or sip a beer in a cramped bar while listening to The Beatles, there is no need to go to bed early. 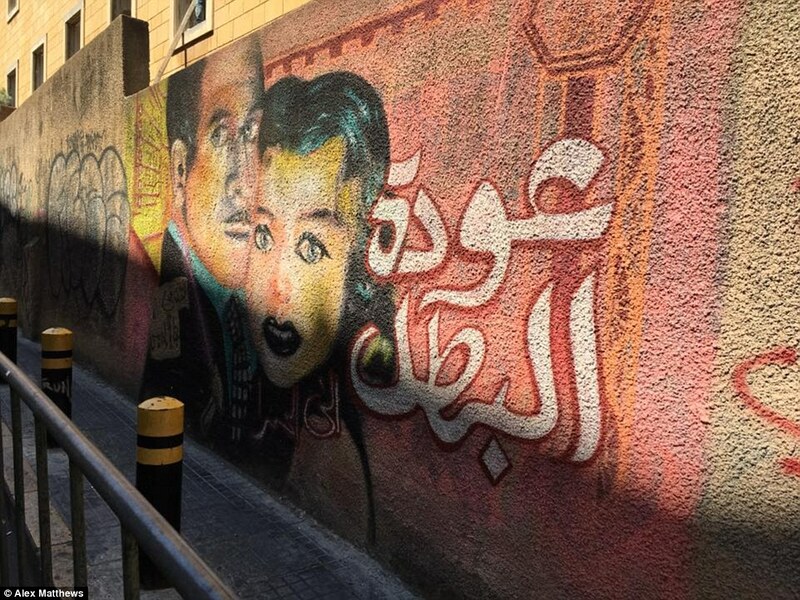 I enjoyed visits to the uber trendy neighbourhoods of Mar Mikhaël and Hamra where the hipster-filled drinking holes and art inspired cafes, flanking narrow streets, reminded me of my favourite places to get up to mischief in London. Basically Beirut has it all, if you want to sit on a beach and sunbathe the hours a way, you can. 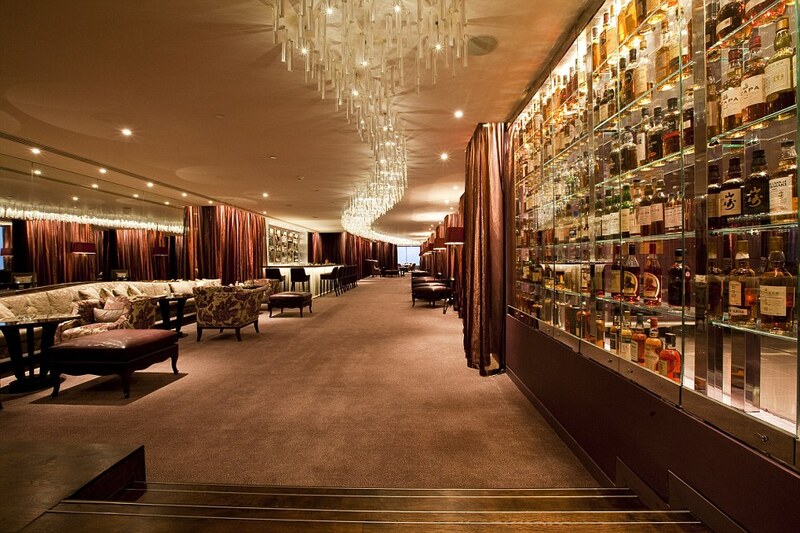 If you want to dance and drink until you drop, you can. And if history and the arts is your cup of tea, then there is plenty to enjoy. So visit, eat, drink, be merry - but watch out for the cab drivers. 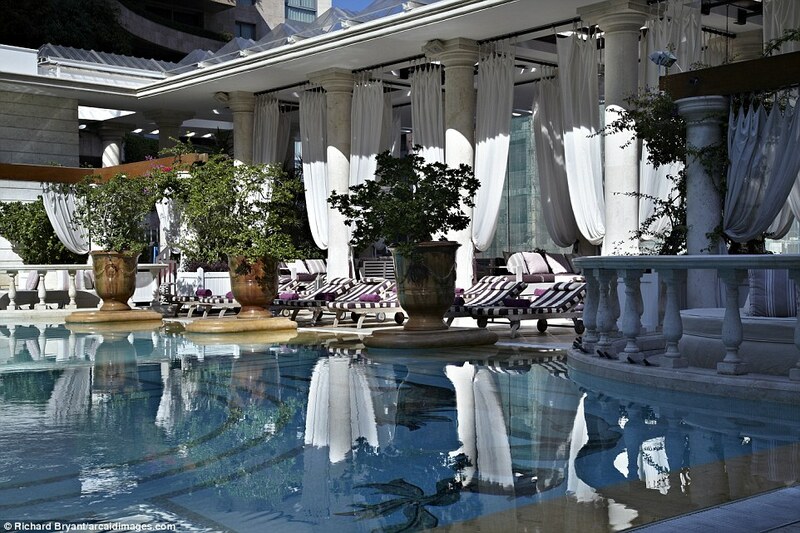 You won't regret it, you'll just wish you had visited sooner. by famagusta-gazette.com The presence of Cyprus in Europe is a major asset to Lebanon, said the country’s Defence Minister Yaacoub Riad Sarraf, while underlining the “tremendous prospects” that open up with the forthcoming “historic visit” of Cyprus President Nicos Anastasiades to Beirut. “Cyprus has stood by Lebanon and will continue to do so” said his Cypriot counterpart, Christoforos Fokaides. Speaking on Thursday, he also referred to the signing of an agreement for bilateral military cooperation, saying that it reflects the will of both countries to face common challenges. Sarraf, who is on an official visit to Cyprus, was received this morning by Fokaides at the headquarters of the Cyprus National Guard, in Nicosia. The two men had a tête-à-tête, followed by official consultations, in the presence of both sides’ delegations. The Lebanese Minister said that his visit to Cyprus was to “honor a debt that Lebanon has towards Cyprus” for all its assistance in the past, as well as more recently with the refugee crisis. Cyprus has offered to Lebanon and Jordan its share of 2.3 mln euros, as part of the EU refugee grant to Turkey, to cater for Syrian refugees. “Cyprus plays a major role in the coordination between the European community and Lebanon,” Sarraf added. The Minister also referred to the forthcoming visit of President Anastasiades to Lebanon, noting that he lays great hopes on its outcome. The prospects for prosperity and peace, as well as in education and culture are tremendous, he noted. US Army Gen Joseph L. Votel, commander United States Central Command, meets with President Michel Aoun during his visit to Lebano. On the trip, Votel met with key leaders of the Lebanese government and military to reaffirm a shared commitment of stability and security in the region. by Joseph A. Kechichian -Gulf news - Beirut: Lebanon President Michel Aoun met with the commander of the US Central Command (USCENTCOM), Joseph Votel, in what was a highly anticipated consultation to discuss continued American aid to the Lebanese Armed Forces (LAF) as well as coordinate intelligence sharing against terrorist organisations operating in the country and alongside its borders. Votel reiterated Washington’s commitments to continue its military support to the LAF, and confirmed that the Lebanese military demonstrated innate capabilities to absorb new and sophisticated items. Towards that end, and starting in October, the LAF is scheduled to receive the first of six Super Tucano light attack turboprops, which was contracted in October 2015, originally financed by Saudi Arabia. In late December 2013, Riyadh offered a $3 billion grant to Beirut to purchase weapons from France and the United States — another $1 billion was added in August 2014 to boost the country’s counter-terrorism forces — though this aid was suspended in early 2016 after Jibran Bassil, the Minister of Foreign Affairs who heads the Free Patriotic Movement and who is allied with Hezbollah, voted against the unanimous League of States (LAS) and Organisation of Islamic Cooperation (OIC) resolutions that condemned Iranian attacks on Saudi Arabia’s embassy in Tehran and its consulate in Mashhad. No details were available on the actual sale and which party may settle the final bill estimated at $462 million Importantly, while the Trump Administration is proposing to reduce US military aid to Beirut by 82 per cent in the coming fiscal year [from $103 million in 2017 to $19 million in 2018], Washington pledged to continue its support. It provided more than $1.3 billion in security assistance during the past decade alone, including the transfer of Tow II anti-tank launchers and missiles as well as 18 new Bell UH-1H Huey helicopters. In 2015, Lebanon became the fifth largest recipient of US foreign military financing and the fifth largest annual recipient of US bilateral training programmes though those might now change, something that General Votel discussed with President Aoun. Asia Joumaa is a Lebanese web developer at the Beirut-based internet company Pixel38 and the top student to graduate from the second training cycle of SE Factory, an intensive coding bootcamp that provides young people with the technical skills they need to land jobs in the Lebanese digital sector — a space dominated by men from the top down of the glassy ceiling, like every tech ecosystem across the globe. “I’ve always wanted to work as a web developer, and then I got into SE Factory, which helped me get there,” shares Joumaa. 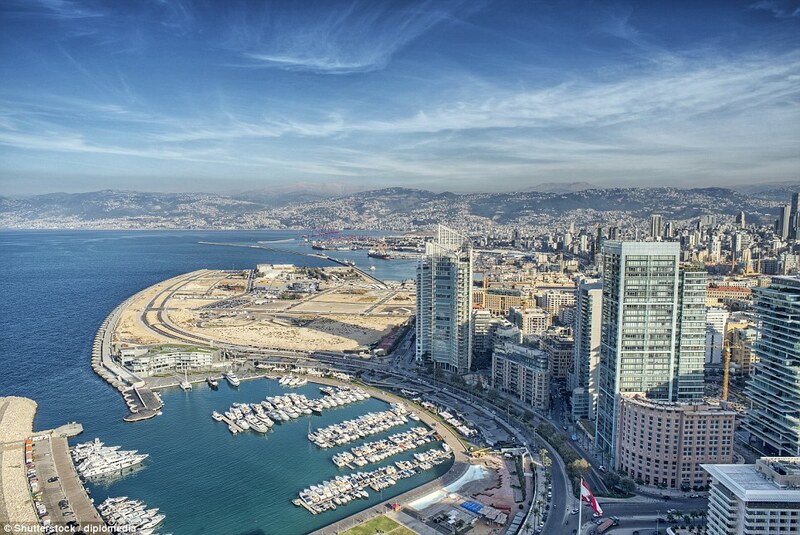 “There’s a lot of young women who want to get into tech here in Lebanon.” Indeed there are. At Beirut Digital District (BDD), a bustling tech hub in Lebanon’s capital that provides space and support services to 70 other companies (including SE Factory), the gender ratio is 55 percent women to 45 percent male. At the executive level, the ratio is 80 percent men to 20 percent women. But let’s back up for a second. The fact that more women are holding positions within BDD’s creative tech cluster, which is home to approximately 1,300 employees overall, is a bright anomaly, as there aren’t known tech scenes in the Western world where women outnumber men. In the U.S., the average percentage of women working in the tech industry is 30 percent, while women make up 59 percent of the country’s workforce. Meanwhile in the U.K., the percentage of women working in tech registers at 17 percent — lower than the number of women working in Parliament. At this moment in time, embracing women in tech at any level should be non-negotiable for any business and government that intends to thrive. This isn’t simply because there is a growing, global crusade of groups championing female entrepreneurs. And it’s not because we’re not waiting 118 years for gender equality to finally transpire — because we’re not, by the way. It’s because women represent the largest market opportunity in the world, as they control $20 trillion in consumer spending a year. According to the 2016 World Economic Forum Global Gender Gap Report, Lebanon’s ranking for women’s rights is 135 out of 144. With more players in Lebanon’s digital network contributing to the employment and success of women, that position could and will hopefully change for the better. If the gender trend at BDD continues to expand beyond that community, and if more women in the country begin to pursue founder and executive roles, there’s hope for women to become a larger part of Lebanon’s economy.